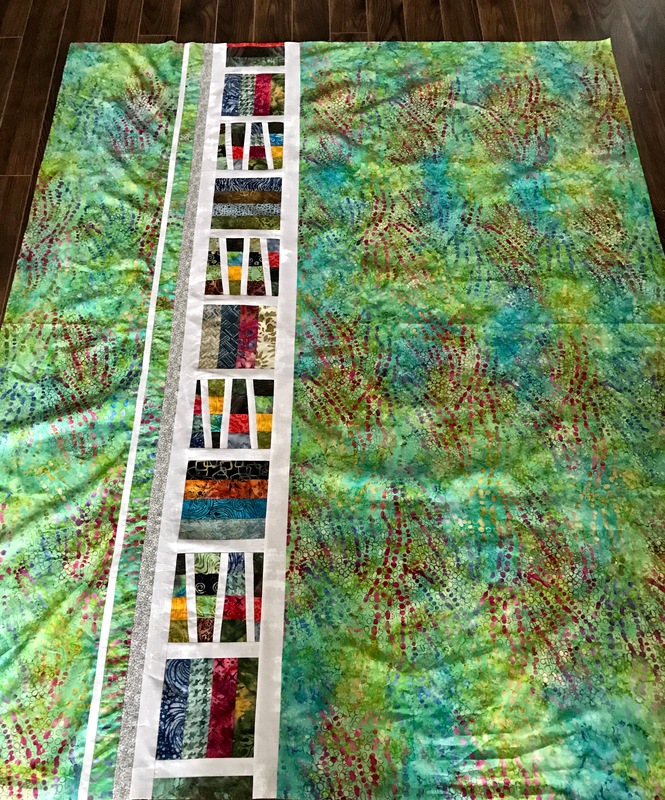 Just finished applying the borders to the quilt panel to finish the quilt top. It does look the way I wanted it to – dense toward the upper left and more open on the right and bottom. The last column of blocks went quickly since there was much less piecing involved in constructing them. 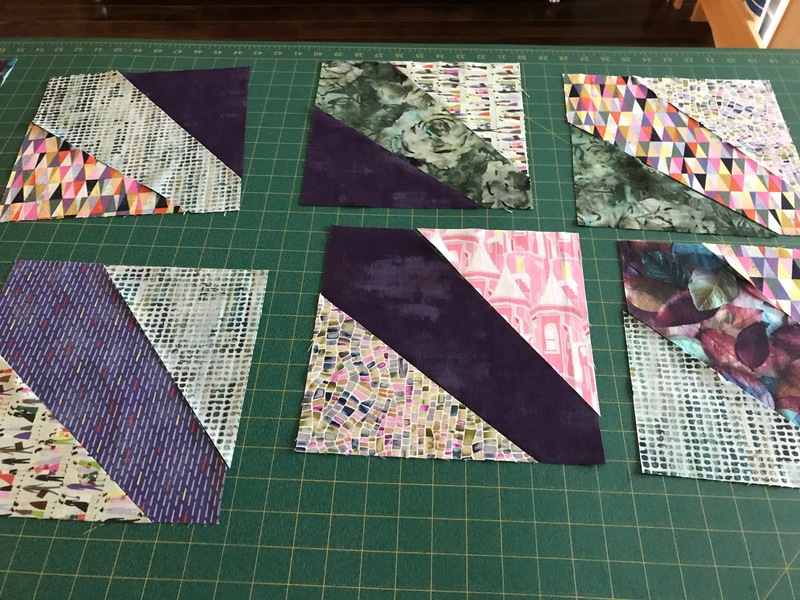 However, I did have to go buy another 1/2m of background fabric in order to set up the 6.5″ wide border strips. 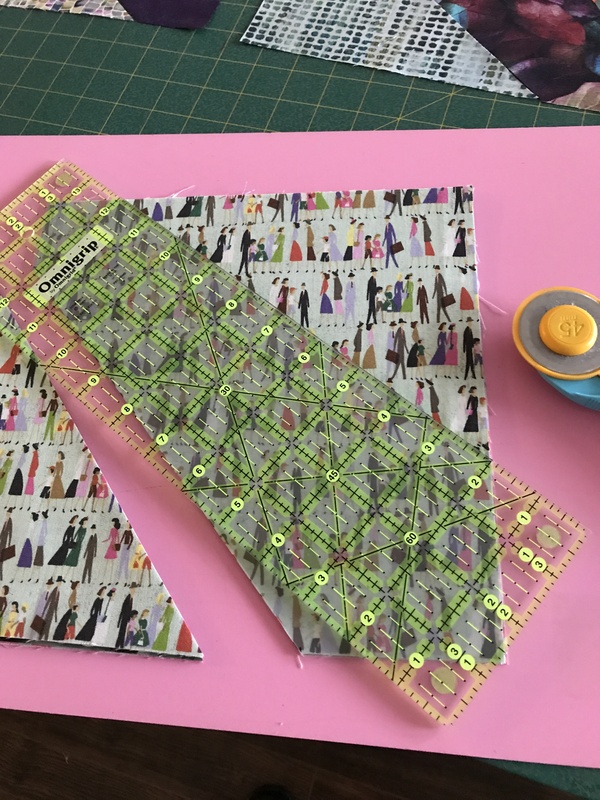 Fortunately, I’ve found backing fabric in my stash so I don’t need more fabric for the back of the quilt. 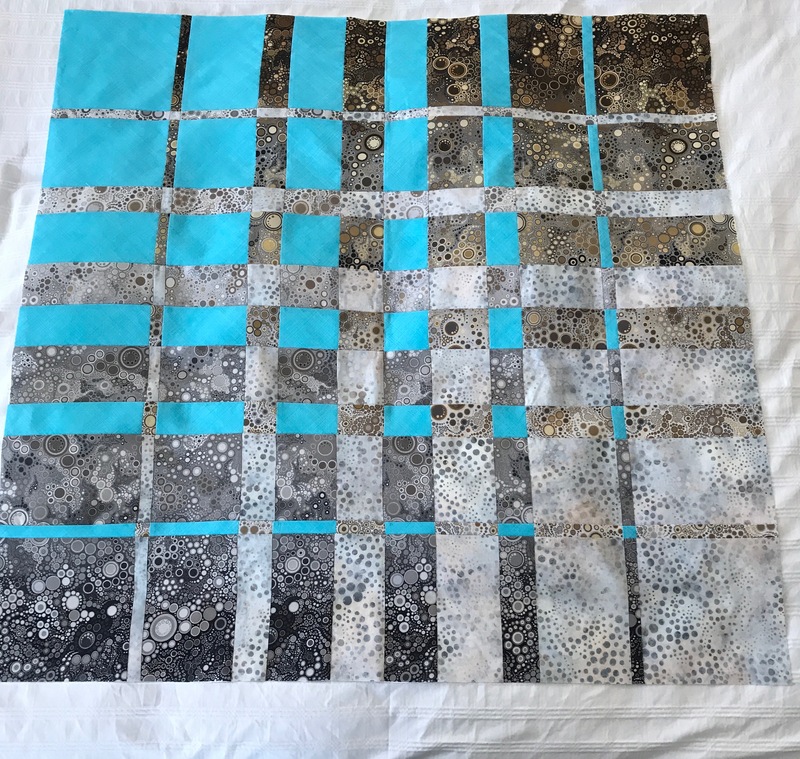 I do have enough leftover strips to piece a strip for the back but I don’t know what I’ll use to bind the quilt – I may use the pale grey Grunge (Moda) fabric rather than bring in another colour for the front. 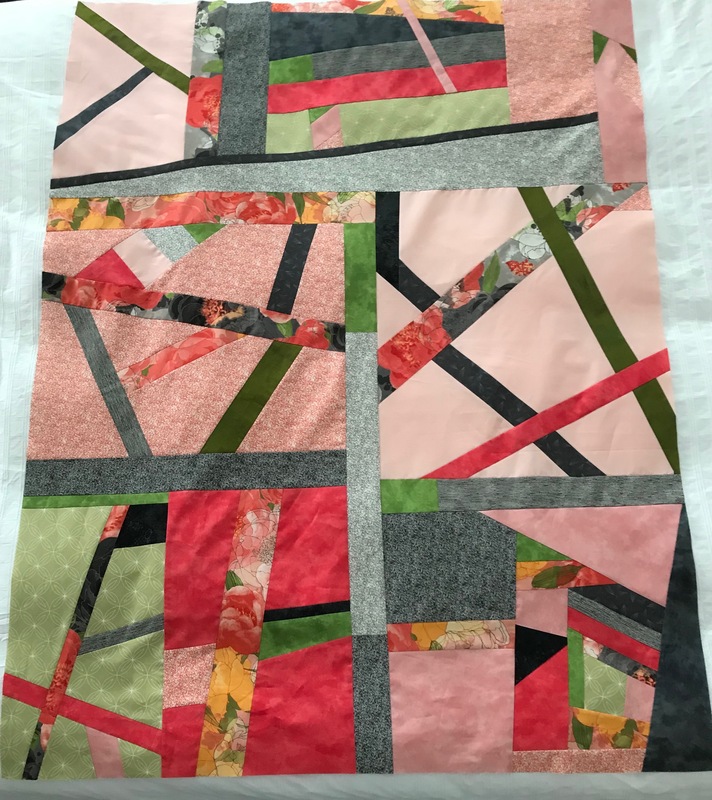 I’ll see what looks reasonable once I’ve done the quilting. 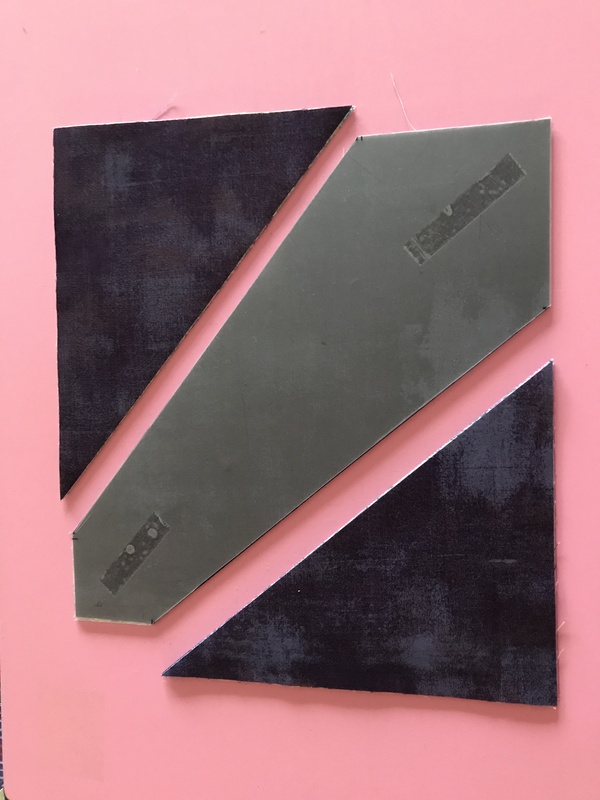 Final size approximately 48″ x 64″ – a good size for a lap quilt. 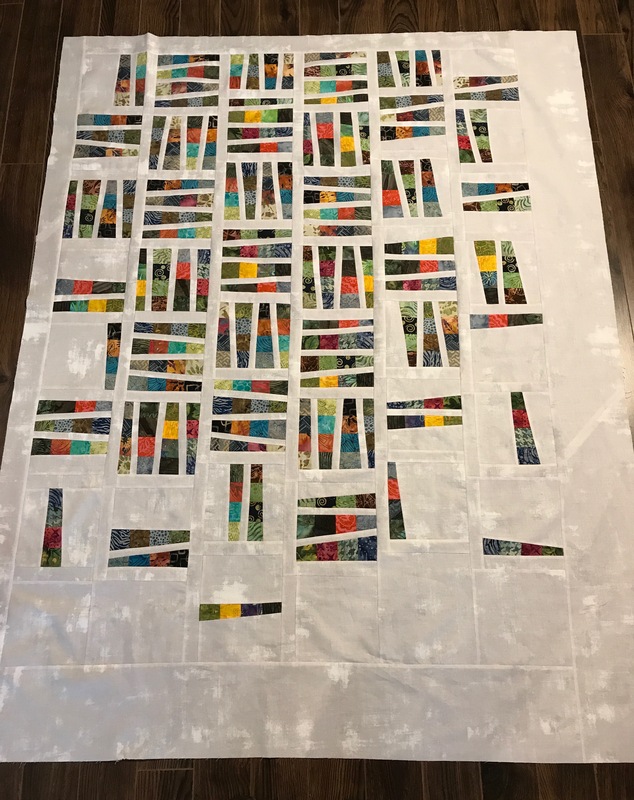 Instead of two shorter rows (one on top and one on bottom), this addition turned into a single longer piece I decided to add to one end. 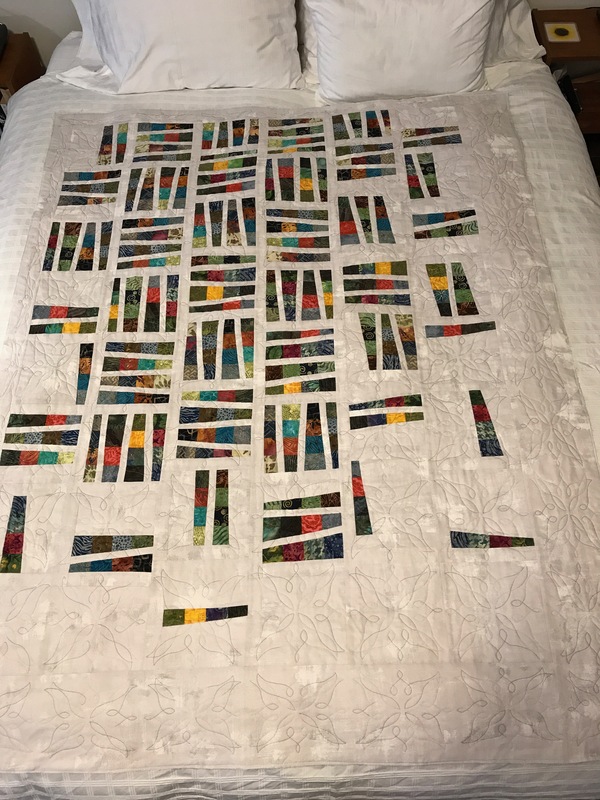 For some reason I can’t articulate, that addition feels like the “top” – almost where a pillow would go had this been a twin size quilt. 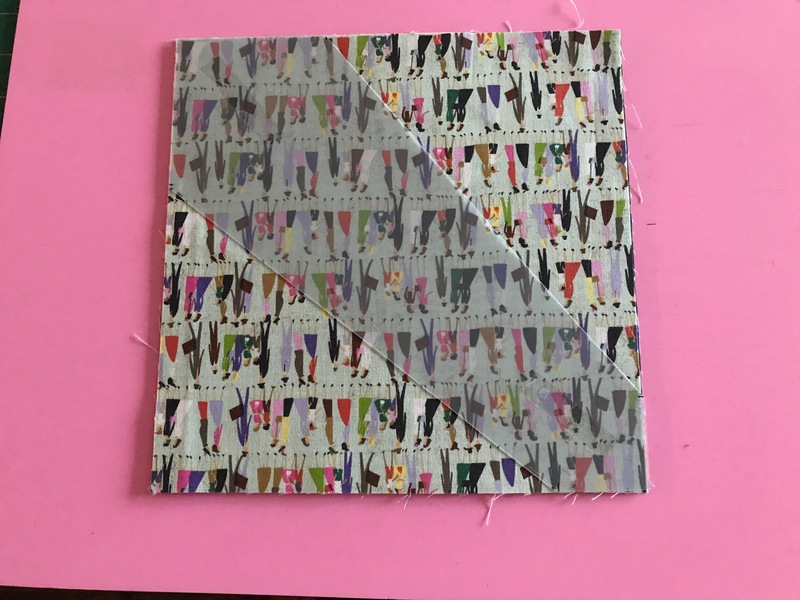 Instead, it will be a largish lap quilt or throw. 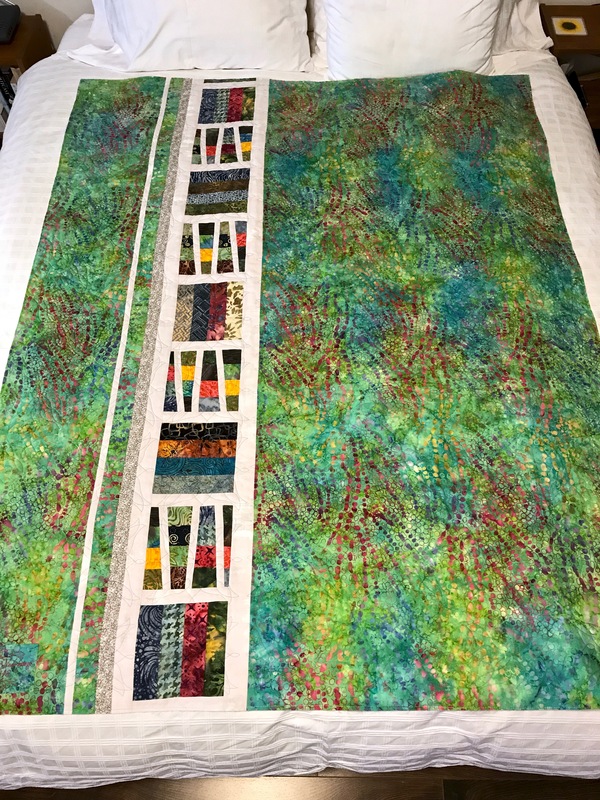 It still needs a border, maybe it will want a very narrow inner border – not sure yet. 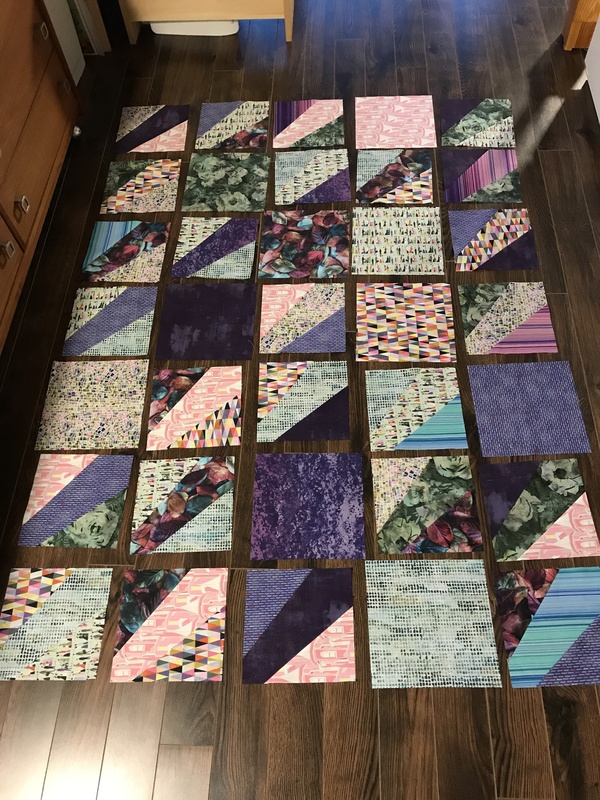 Now I need to walk around this for a bit, at the same time I need to go through my fabric stash to find a fabric that could work as a narrow inner accent border, and something for the wider outer border. 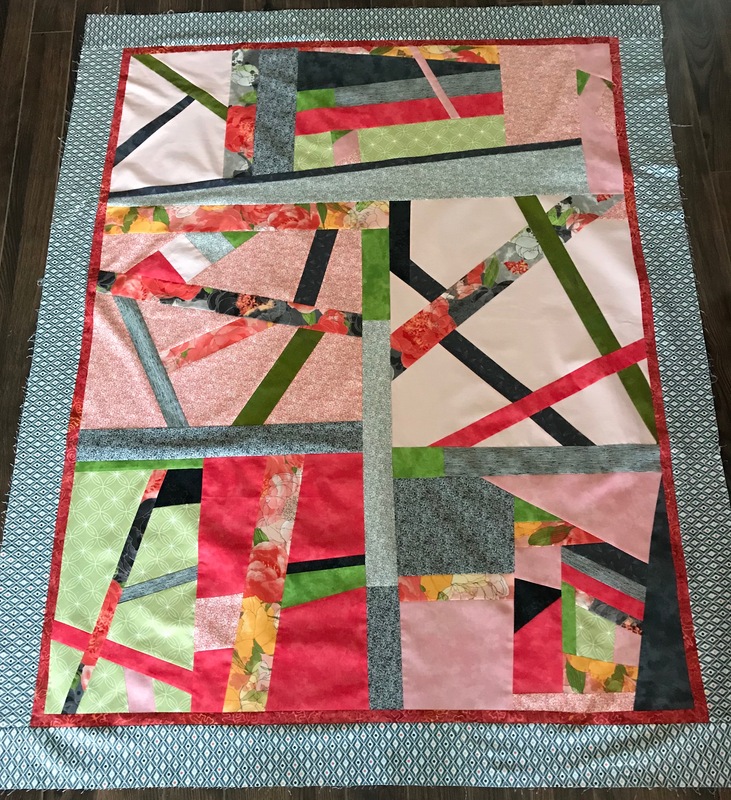 And I guess I should be thinking about a name for the quilt – no idea what it might be.